SAN DIEGO, Calif. – April 19, 2016 – Competitor Group, Inc. (CGI), the leading active lifestyle sports media and event entertainment company, today announced that Patrick Byerly has joined the company as Senior Vice President of Global Events. Byerly, who previously held leadership roles with the Dallas Marathon, Los Angeles Marathon, New York Road Runners and Southwest Airlines, will report directly to CGI President Josh Furlow and serve on the company’s Senior Management Committee. As head of CGI’s events division, Byerly will be responsible for driving growth, strategy and planning for the company’s flagship Rock ‘n’ Roll Marathon Series operating in over 30 markets across North America and Europe. He will oversee all aspects of the event experience including course logistics, start and finish line venues, pre-race expos, national vendor contracts, city relationships, and more. 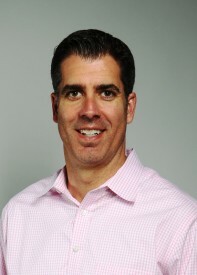 Byerly brings a nearly 20-year career of sports marketing and executive experience to CGI. He was most recently the President of the Dallas Marathon, which is the oldest marathon in Texas. Prior to Dallas, Byerly served as head of marketing and strategic development for the Los Angeles Marathon. There, he was responsible for the brand strategy, marketing and corporate positioning that drove revenue growth more than 70% in his first year. Byerly previously led all corporate partnerships and business development efforts for the New York Road Runners, which organizes the New York City Marathon. He oversaw all sponsor relationships and assisted with broadcast deals, charity initiatives and international travel programs. He began his career at Southwest Airlines, where he was responsible for partnerships, promotions, events and corporate relations for ten key markets throughout the southeast. He worked on three Super Bowl campaigns, NBA team sponsorships and the Country Music Marathon. He and his wife Jill McGill will relocate from Dallas to San Diego with their 4-year-old daughter Bella and 13-week-old son Blaze. For more information, visit www.CompetitorMediaKit.com. Headquartered in San Diego, Calif., Competitor Group, Inc. (CGI) is the active lifestyle industry’s leading media and event entertainment company. CGI’s portfolio of media brands span the full range of the endurance industry including VeloNews, Triathlete, Women’s Running and Competitor with a combined monthly circulation of over 700,000. CGI owns and operates 38 events around the world, including the Rock ‘n’ Roll Marathon Series, the TriRock Triathlon Series and Events DC Nation’s Triathlon, collectively delivering more than 600,000 professional and amateur participants in 2016. The race services division of CGI, Race IT is the second largest provider of online registration solutions to endurance event organizers around the world. Further information about CGI and its digital, publishing and event entertainment properties can be found at www.CompetitorMediaKit.com. The Rock ‘n’ Roll Marathon Series attracts more runners than any other running series with 30 events taking place worldwide in 2016. Established in 1998, the simple idea of making running fun has transformed the U.S. running landscape by infusing the running experience with live bands, cheer teams and themed water stations, creating a block-party atmosphere for participants and spectators alike. Over its history, charity partners have raised more than $320 million through the events for a variety of worthy causes. Race weekends kick off with a free Health & Fitness Expo showcasing the latest in running gear, sports apparel, health and nutritional information and much more. Events culminate with a celebratory finish line festival and post race concert featuring some of the biggest names in music, with past headliners including Kid Rock, Macklemore & Ryan Lewis, Aloe Blacc, Pitbull, FloRida and Bret Michaels. Further information about the Rock ‘n’ Roll Marathon Series can be found online at RunRocknRoll.com or follow @RunRocknRoll on Twitter.